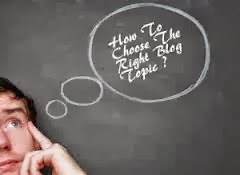 Choosing a topic on what to blog is probably one of the most challenging things that a blogger may face if he would like to make it his lifestyle. I said that it is about lifestyle because without your heart in it, it will surely not succeed. Topic is so important in blogging because we have to accept the fact that the topics that we choose for our blog determine its direction. We need to blog with direction that is why as much as possible we have to choose very well our topic. On this tutorial, I will show you some of the possibilities of choosing a topic for your blog. You may want to blog just because you love writing. Or in some, you may want to make money out of it. Whatever is your purpose in blogging, there should be a topic that will govern your site. This will be your rudder towards your destination. With the use of topic, you will be able to be identified easily by your fellow bloggers and what you are up to. You have to be clear in this area as if you are trying to convey information that many should know. Let us start here. 1. You must Know your Purpose why you want to Blog: If you want to blog just for hobby and you don't need money, I am sure that you don't need to choose a good topic, just write what ever you want. But, if your purpose in creating blogs is earn real money from blogging you should continue to reading this article because this is really for you to start your own blog with confidence to earn money from it. 2. You must Know where you are Good in Writing a Concept: Most of people who already read an article saying that blogging is money, he/she always get interested because we all need money for living, unless you are a billionaire who don't need money anymore. if you are good in or you hobby is to read news - so then create blogs about news and current events. 3. You must be Interest fully on what topic you want to pursue in Blogging: If you have already chosen any topic listed above the next thing to consider is that if you really interest on that topic you want to pursue in blogging? You must consider the following core concepts below before you start blogging. Is there a wide audience for your chosen blog topic? Do actually people want to read about the topic you choose? Is the marketplace wide enough or will you be one of the few blogger tackling about your subject? Do the research before you set up your blog, make sure your topic are searchable and widely searched. Is the topic you choose is something you’re already interested in? 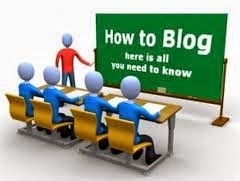 Blogging is going to be your sideline for the mean time, it is something that supplements your needs and leisure time. But, take note that blogging is not short term anyway, it will be a full-time living soon, that will change your life. So pick a topic that you already read about constantly so you don’t have to make more additional time to research about it. Is the topic your choose something that you have expertise in? Blog posts are not simple articles. A good blog posts should include personality, quick tips, anecdotes and experiences, sometimes humor for it to be worthwhile to read. It should be something that others may learn, something useful with your blog post and they must feel the real you as being unique and realistic. Is the topic you you choose you see yourself building on? Will you or do you ever want to write a nonfiction book on this subject you choose? You should see yourself to become the media personality when it comes to this particular topic you choose. Basically, there should be a reason that you want to spend all your time building an audience for your chosen blog topic and you must consider which one will profit you more. The more the audience the more money you can earn with blogging. Will your blog topic help build your brand? As a blogger you should be looking forward to make you blog a brand. This is the ultimate goal for a blog to become in the near future. This level wherein your already built your own band - you will be the one that will be used by others as main reference for every blog topic related to your blog. Blog branding is not that easy, it will take time and more efforts to attain, but you should be seeing your blog to have a chance to make it a brand. Below are the Collections of topic about blogging that I know where you can choose, please choose wisely. Be what you are and do what you want then write with your heart and minds, that's the secret of blogging. But make sure to pursue your blogging topic that you are sure you will gain good result in the future. It is not about the topic itself, it is all about you and what you can write. Don't mind those other blogs that are popular with the same topic with your blog, blogging competition is not that big issue because every blog has lot of similarities with other blog contents the viewers will surely read your blog contents anyway and they will surely comeback from time to time to look for more articles you are writing if they are learning something useful with your blog. Happy blogging everyone! If you have further quires or you want to express your thoughts, just post your comment below, thanks. There is some good information for a new blogger. I am going to use some of these tips. Your welcome... Lets make more money via blogging! Great tips for starters. I think it all boils down to the reason why someone is blogging. If it's one's source of livelihood, then one has to really be passionate about it. It's like having a regular job to be able to bring food to the table. In my case, I started blogging way back 2002 but got my own domain in 2008. Personally, I blog for catharsis and self expression. In the past 5 years, I have reaped great rewards from blogging. No, not in monetary terms because all these years I have refused advertisement and guest posting offers. The rewards come in the form of friendship and trust, considering that I have been an anonymous blogger all this time. This coming year, though, I decided I will be accepting advertisements to fund a particular project. Good luck and keep sharing your thoughts about blogging. Thanks Nortehanon for sharing your thought in relation with blogging, Yes, most of bloggers I knew, the main reason they do blogging is to earn money and the same time sharing their thoughts, but its not applicable to everyone specially on you, wherein you do blogging for catharsis and self expression as you said. You can be rewarded in blogging in many different ways. If you are looking for adnetwork to earn for your blogging just visit earn online tab above and read some adnetworks that are really paying good. Happy blogging, see you around. you also need to keep in mind that earning from blogging doesn't happen overnight.it takes years to establish your blog and your reputation online.yes,there's money in blogging,but you also need to use money.in short,it takes money to make money. I used to eark $500 -$1k in a day but it was after blogging for so many years. I've been a blogger since 2001 and if your only reason to blog is to earn money,then blogging is not for you. Thanks for your inputs. Some earn money in just 2-3 months of blogging like me, this blog was created 6 month ago and it started earning as publisher after 2-3 months when it was published. But off-course we all have different styles and tactics in blogging and it is not always for money. My earning is not big as yours but at least I am earning with this blog even it is new . I will be posting the exact monthly earning reports for this blog by January for the reason of inspiring others to blog more. See you around and happy blogging! Thanks for the tips. I come up with a blog entry around 2-3 times per week max. I just have to manage my time to juggle life between a full time job, raising kids, housework and my passion - blogging. I am not earning much but as long as I write what I feel and see how people comment on my posts, then I am happy. Mabuhay ka, Pinoy! Welcome, Thanks too for sharing your experiences about blogging, I certainly proud to be Pinoy that involves in blogging. Sharing thought in every blog post we made makes us feel contented even we are not good in grammar and those comments on our post it makes us feels great. Happy blogging.. see you around and continue sharing your thoughts via blogging! your good in blogging.. Thanks for sharing your thoughts.. These are good starter tips for blogging! I've been at it for almost 3 years now and I really love it. What I've noticed is that my blog has kind of directed itself. The aspects I enjoy the most seem to become the priority and do the best for me too. Nice, 3 years of blogging is long enough to see the fruit of your labor with blogging. Happy blogging and thanks for sharing your experiences in blogging! Great ideas. I could have used this when I started blogging. I was grabbing at straws. Your welcome. It's not too late, you can still apply those tips above for new blogs if you wish to create more. Happy blogging! As a very new blogger these tips are perfect! I'm so glad to read them :) Thanks! Thanks for this article! This is really good for the newbie blogger. It's true indeed you have to know your purpose of your blog. This will serve as your niche to your blog. More power to your blog! Happy blogging everyone! Thanks, More power in your blog too.. See you around! 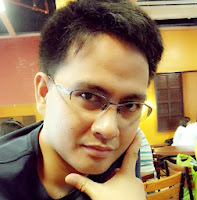 I always choose topics to write my blog posts based on my readers interest, based on my knowledge, my expertise because my belief is that when you know what you have to say and how you have to say, you say it in such a awesome way that everybody likes it, appreciate it and makes you hero. Write what you know, what your readers want to read not what you want to write. Thanks for sharing your ideas about your blogging preferences, Yes that's right, do what you want to post, but sometimes it is more productive if you choose blog topics that are really interesting and lot of readers regarding that blog topic. More readers = more people will benefits with your articles= more revenue... 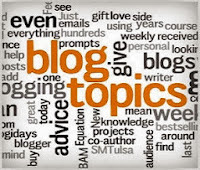 Choosing blog topic is not that easy and you must consider always you purpose on blogging... Happy blogging! thanks for passing and leaving your valuable comment. nice post frank really helpful for beginners. thanks for leaving a comment.. Happy blogging!